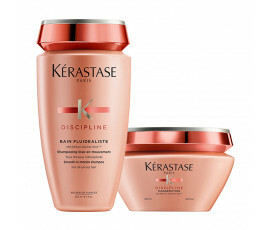 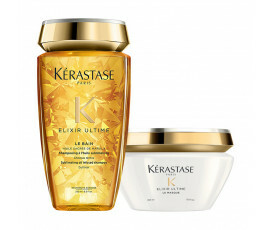 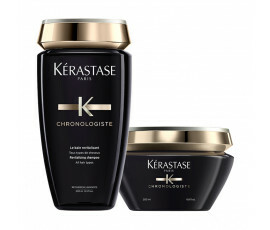 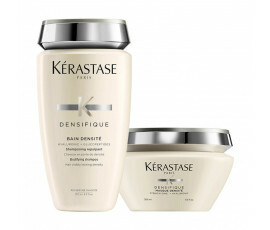 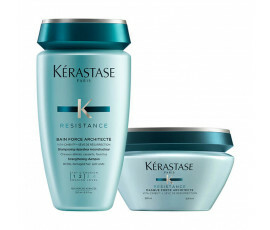 Kérastase enhances the beauty in each woman's hair. 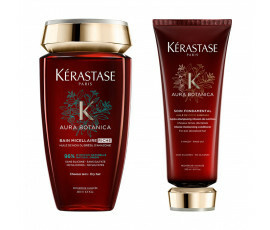 Enjoy its extraordinary beauty routine and get amazingly perfect hair every day: cleanse the scalp with the shampoo and treat lengths deeply with the conditioner/mask. 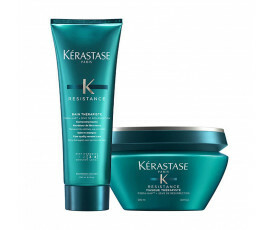 Today, the most adored Kérastase kits are kept in a refined and matching Beloved pochette for taking your favourite high-quality hair products with you wherever you will go. 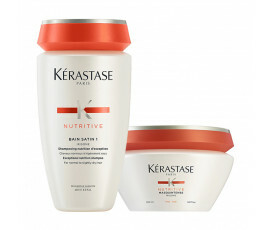 Choose now your favourite kit depending on your hair needs: Nutritive Irisome for dry hair, Elixir Ultime for all hair types, Densifique for thin hair, Chronologiste for a real hair regeneration, Resistance Force Architecte for brittle hair, Resistance Thérapiste for damaged hair, Discipline Fluidealiste for frizzy hair and Aura Botanica, the new naturally-derived line for shimmering dull and flat hair.